Do desert ants smell the scenery in stereo? populations were low and this may have underestimated the overall rate of seed removal by this taxon. In the present study seed removal in Australian deserts was re-investigated using both the seed dish technique and an alternative energetics approach (Parmenter et al., 1984) comparing results to previous work from both Australia and other continents. Methods Study site and granivore fauna The study site is in the eastern Simpson Desert, approximately 15 km north of Ethabuka station homestead in south-western Queensland (23°46' S, 138°28' E). The site characteristics have been detailed elsewhere (Predavec, 1994a). During the study, a total of five species of rodents was captured (Predavec, 1994a), although only three were present in high numbers (Pseudomys hermannsburgensis, Notomys alexis and Rattus villosissimus) and only two (P. hermannsburgensis and N. alexis) were present throughout the study (Predavec, 1994a; Predavec & Dickman, 1994). A total of 16 species of granivorous ants was sampled during the study; 10 were common (occupying > 10% of baits during a 24-h period; Predavec, 1994b). Although the granivorous avifauna was not characterised in detail, common species that were present included zebra finches (Poephila guttata), budgerigars (Melopsittacus undulatus) and crested pigeons (Ocyphaps lophotes). Figure 1. Mean seed removal rate by ants, rodents and birds in two time periods, May 1993 (h) and July 1993 ( )(N = 25). and with the four functional granivore groups (rodents, birds, diurnal ants and nocturnal ants) as the second factor. Results and discussion Ants were the major seed consumers during both periods tested, followed by birds, with rodents consuming relatively few seeds (Fig. 1). This difference between consumer groups is even greater considering that ants can forage throughout the 24-h period, whereas rodents and birds are restricted to nocturnal and diurnal foraging, respectively. There was a significant interaction between the repeated measure and the relative removal of seeds (Fig. 1; F3,96 = 4·81, p < 0·005), due primarily to a four-fold increase in the amount of seeds removed by nocturnal ants that resulted in a two-fold increase in total seed removal in July relative to May. These results support the previous findings of Morton (1985), with the total mass of seeds removed being similar, suggesting that rodents are a minor element of this Australian granivore community. The use of seed dishes to measure granivory has been criticised, however, because it may underestimate the relative contribution by birds (Mares & Rosenzweig, 1978; Parmenter et al., 1984; Morton, 1985; Kerley, 1991). Although highly mobile and able to respond to changing food availability, birds generally rely on relatively predictable food sources and spend little time searching for new seed patches (Mares & Rosenzweig, 1978). Thus, within the short time that seeds trays were used (3 days), birds may not have had time to detect the additional resources. Mares & Rosenzweig (1978) have shown that the rate of seed removal by birds increases with length of time that seed trays are left out. A similar pattern of underestimation may be occurring with rodents. Numbers of P. hermannsburgensis show a positive spatial correlation with seed availability and they appear able to move long distances in response to changing food availability (Predavec, 1994b; Dickman et al., 1995). With increased population numbers there should be an overall increase in the rate of seed removal, assuming that individual rates of seed removal are independent of population density. The speed at which rodent populations respond to additional food resources will influence the apparent rate of seed consumption as measured by seed trays. Timing of the response of rodents is not known (Predavec, 1994a), but if it is greater than 3 days then seed trays will underestimate the relative contribution of rodents to total seed removal. can all change dramatically in both time and space, thus possibly influencing patterns of relative seed removal. Numbers of rodents, for example, can change dramatically over time, increasing rapidly with increasing food availability (Predavec, 1994a, b; Predavec & Dickman, 1994). Activity of ants throughout the year is strongly influenced by temperature (Briese & Macauley, 1980; Andersen, 1983), and although not studied in detail in the present work, many arid-adapted granivorous birds, such as the budgerigar (M. undulatus), are nomadic and can concentrate their activity on large flushes of food (Shodde, 1982; Davies, 1984). Further, in rodents the proportion of seeds in the diet also fluctuates and appears to be at its highest level ( ~ 80%) during high population numbers (Murray & Dickman, 1994). Changes in the relative activity and abundance of all three groups of granivores may not necessarily be the result of similar environmental stimuli. These changes may have profound effects on relative rates of seed consumption. For example, using the energetics approach (Parmenter et al., 1984; see above), the daily rate of energy removal by all rodents during peak population numbers in June 1992 (P. hermannsburgensis and N. alexis, Predavec, 1994a; R. villosissimus, Predavec & Dickman, 1994) was 2416 kJ ha–1, which is 30 times the rate of energy consumption in July 1993. Although the rate of seed consumption by ants cannot be calculated for June 1992, numbers of the major granivorous ant taxa captured in pitfall traps were similar in June 1992 and July 1993 (M. Predavec, unpublished data). This suggests that rates of seed consumption by ants were likely to have been similar in June 1992 and July 1993, whereas rates of seed consumption by rodents would have undergone a 30-fold change. Thus, the relative contribution by rodents to overall rates of seed removal may change throughout the year and may at times be much greater than previously thought. The energetics estimate calculated for rodents in June 1992 was equal, or higher, than three out of four estimates for rodents in North America deserts (Parmenter et al., 1984). This contradicts previous statements that total seed consumption in Australian deserts is lower than in North American deserts, due to the lower consumption of seeds by rodents (e.g. Morton, 1985). In future it will be necessary to investigate seed removal rates at periods of peak rodent abundance to get a realistic indication of the relative contribution of this group to the granivore community and of the variance of this contribution over time. I thank Paul Doughty, Hamlet Giragossian, Fiona MacKillop, Cathy Rummery, Mike Thompson and James Walker for help in the field. Earlier drafts of this manuscript were read by Peter Banks, Chris Dickman and Mike Thompson. Funds were provided for this study by Australian Geographic, the Australian Museum Postgraduate Grant Scheme and an Ethel Mary Read Research Grant from the Royal Zoological Society of NSW. This work was carried out while I held an Australian Postgraduate Research Award from the University of Sydney. References Abramsky, Z. (1983) Experiments on seed predation by rodents and ants in the Israeli desert. Oecologia, 57: 328–332. Andersen, A.N. (1983). Species diversity and temporal distribution of ants in the semi-arid mallee region of north western Victoria. Australian Journal of Ecology, 8: 127–137. Baker, L., Woenne-Green, S. & Community, M. (1993). Anangu knowledge of vertebrates and the environment. In: Reid, J.A., Kerle, J.A. & Morton, S.R. (Eds), Kowari: The Uluru fauna survey, pp. 79–132. Canberra: Australian National Parks and Wildlife Service. 152 pp. Briese, D.T. & Macauley, B.J. (1980). Temporal structure of an ant community in semi-arid Australia. Australian Journal of Ecology, 5: 121–134. Brown, J.H., Grover, J.J. & Davidson, D.W. (1975). Preliminary study of seed predation in desert and montane habitats. Ecology, 56: 987–992. Brown, J.H., Reichman, O.J. & Davidson, D.W. (1979). Granivory in desert ecosystems. Annual Review of Ecology and Systematics, 10: 201–227. Davidson, D.W. (1977). Foraging ecology and community organization in desert seed-eating ants. Ecology, 58: 725–737. Davies, S.J.J.F. (1984). Nomadism as a response to desert conditions in Australia. 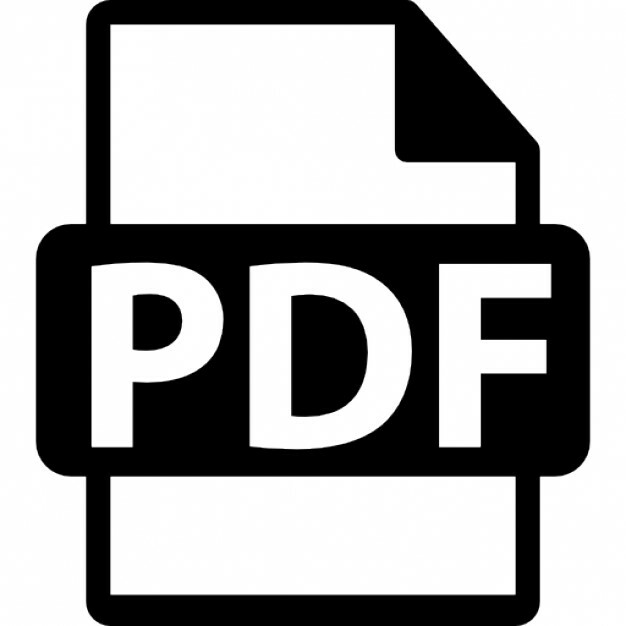 Journal of Arid Environments, 7: 183–195. Dickman, C.R., Predavec, M. & Downey, F.J. (1995). Long-range movements of small mammals in arid Australia: implications for land management. Journal of Arid Environments, 31: 441–452. Grodzinski, W. & Wunder, B.A. (1975). Ecological energetics of small mammals. In: Golley, F.B., Petrusewicz, K. & Ryszkowski, L. (Eds), Small Mammals: Their productivity and population dynamics, pp. 173–204. Cambridge: Cambridge University Press. 451 pp. Harris, J.H. (1984). An experimental analysis of desert rodent foraging ecology. Ecology, 65: 1579–1584. Kerley, G.I.H. (1991). Seed removal by rodents, birds and ants in the semi-arid Karoo, South Africa. Journal of Arid Environments, 20: 63–69. Mares, M.A. & Rosenzweig, M.L. (1978). Granivory in north and south American deserts: Rodents, birds and ants. Ecology, 1978: 235–241. Morton, S.R. (1985). Granivory in arid regions: Comparisons of Australia with North and South America. Ecology, 66: 1859–1866. Murray, B. (1993). Dietary patterns in two species of Australian desert rodents: Notomys alexis and Pseudomys hermannsburgensis (Muridae). Unpublished thesis: University of Sydney. Murray, B.R. & Dickman, C.R. (1994). Granivory and microhabitat use in Australian desert rodents: are seeds important? Oecologia, 99: 216–225. Parmenter, R.R., MacMahon, J.A. & Vander Wall, S.B. (1984). The measurement of granivory by desert rodents, birds and ants: a comparison of an energetics approach and a seed-dish technique. Journal of Arid Environments, 7: 75–92. Predavec, M. (1994a). Population dynamics and environmental changes during natural irruptions of Australian desert rodents. Wildlife Research, 21: 569–582. Predavec, M. (1994b). Food limitation and demography in Australian desert rodents. Unpublished thesis: University of Sydney. Predavec, M. (1997). Variable energy demands in Pseudomys hermannsburgensis: possible ecological consequences. Australian Journal of Zoology (in press). Predavec, M. & Dickman, C.R. (1994). Population dynamics and habitat use of the long-haired rat (Rattus villosissimus) in South-western Queensland. Wildlife Research, 21: 1–10. Reichman, O.J. & Oberstein, D. (1977). Selection of seed distribution types by Dipodomys merriami and Perognathus amplus. Ecology, 58: 636–643. Shodde, R. (1982). Origin, adaptation and evolution of birds in arid Australia. In: Barker, W.R. & Greenslade, P.J.M. (Eds), Evolution of the Flora and Fauna of Arid Australia, pp. 191–224. Frewville: Peacock Publications. 392 pp. Trombulak, S.C. & Kenagy, G.J. (1980). Effects of seed distribution and competitors on seed harvesting efficiency in heteromyid rodents. Oecologia, 44: 342–346. Watts, C.H.S. & Aslin, H.J. (1981). The Rodents of Australia. Sydney: Angus & Robertson. 321 pp. Report "Seed removal by rodents, ants and birds in the Simpson Desert, central Australia"